Born in Blanchardstown, a suburb of Dublin, Carey started his youth career with Shelbourne before moving to Scotland to join Celtic in 2005, making his Bhoys' debut in 2009 against Rapid Vienna in the UEFA Europa League. Predominately a left-sided attacking midfielder, he also won six caps (scoring once) for the Republic of Ireland's under-21 team, having been capped at all international levels from under-15. His debut goal for the under-21s came from an impressive 18-yard left-footed strike after a clever one-two with then Argyle loanee, Cillian Sheridan. In 2009 Carey was loaned to League of Ireland side Bohemians, where he was an instant success. He played 17 times and scored three goals for the Bohs, and capped his spell by winning a League of Ireland title medal. He also had spells with St Mirren, where made 15 league appearances and scored three times as well as picking up the SPL Young Player of the Month award for April 2010, and in West Yorkshire with Huddersfield Town, playing 26 appearances and scoring three times for the League One side. At the end of the 2010-11 season he was released by Celtic, without managing a Scottish Premier League appearance. He returned to St Mirren on a two-year contract and went on to play a further 68 times for them, scoring five goals including a wonder-strike against Hearts, which was voted 2012–13 SPL goal of the season. He also played for the Buddies in their 2013 Scottish Cup Final win over Hearts, coming on as substitute and collecting a winners' medal. Leaving St Mirren Park at the end of the 2012-13 season after a transfer request had been rejected in the January, he had a brief trial with Dundee United before being signed by Derek Adams for Ross County. He made 63 appearances for the Staggies, scoring five times, but was released at the end of the 2014-15 season. In July 2015, Carey made the long move to Plymouth to reunite with Derek Adams on a one-year deal, becoming the new manager's fourth summer signing. 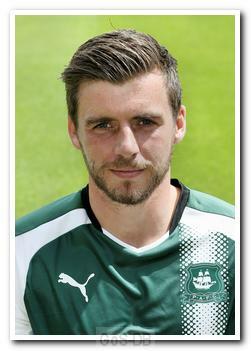 He quickly established himself as a mercurial play-maker and a fans' favourite, and was a key part of the Argyle side that reached the 2015-16 League Two Play-off Final, culminating in a heart-breaking Wembley defeat. Not surprisingly, Carey was voted the Supporters' Player of the Season. With the policy at that time of giving new signings a one-year contract, there was concern after the Wembley defeat that Carey would move on to a higher level. 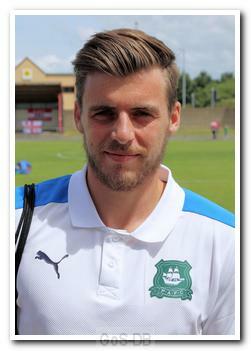 However, supporters were delighted when he signed a one-year extension and vowed to try again for promotion. 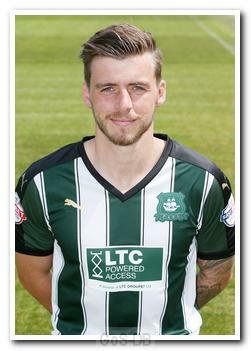 The decision proved pivotal as Carey was once again instrumental in Argyle's promotion campaign of 2016-17, weighing in with some spectacular individual goals. 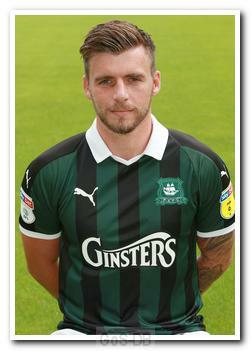 Whilst he was pipped to a second Player of the Season award by Sonny Bradley, both, along with Luke McCormick, made the PFA League Two Team of the Year. 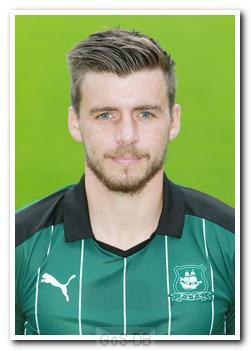 With Carey once again out of contract at the end of his second season and rumours of overtures from Championship clubs, an anxious summer followed for Argyle fans. However, on the first day of pre-season training at the end of June 2017, Carey again showed his commitment to life in Plymouth by signing a "significantly improved" deal, although the length of contract was not disclosed.